NORTH Queensland will welcome back some much needed experience into the side as they aim to bounce back from four losses on the trot. The task does not get any easier for the beleaguered side as they head across the ditch to take on the New Zealand Warriors at Mt Smart Stadium on Saturday. But the recall of Justin O'Neill and Scott Bolton has added the much needed experience the Cowboys have been lacking in the opening month of the season. There is more than 389 games of NRL experience between the pair including grand final glory with the Cowboys in 2015. 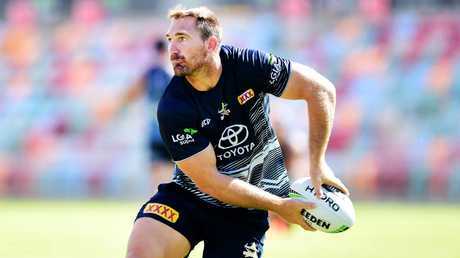 O'Neill was recalled to the Cowboys side to replace the injured Nene Macdonald who will spend an extended period on the sidelines after he sustained a dislocated fracture to his ankle. Bolton returns to the side from suspension, following an off-field indiscretion in May last year. Young forward Corey Jensen has dropped off the bench to the reserves to make way for the veteran forward. "(Bolton) has certainly been through the ringer personally, so it is good for everyone to have him back," Cowboys coach Paul Green said. "I know the players appreciate having him around and I think for himself, he's glad to be back on the paddock. "He has played plenty of games and has got plenty of experience under his belt so however long I get out of him (is what we get). I know the signs when Boltsy needs a break, I have been coaching him for long enough." O'Neill will return to the side on the wing, with electrifying flyer Enari Tuala given another chance to show his wares in the centres. Cowboys recruit Kurt Baptiste has also retained his spot on the bench for the side after an impressive showing against the Storm where he played 56 minutes from the pine. John Asiata made a late switch into the starting side last week and he has retained his spot at lock with Maroons backrower Coen Hess relegated to the bench. Asiata has overcome a late injury scare against the Storm but has been cleared of any serious damage. The Cowboys were much improved in their efforts against the Storm despite going down 18-12, and Green said he expects much of the same against the Warriors. "I think given how we have started, I would like to think (the side is) pretty motivated to give that effort again," he said. "It was certainly a better effort, but you don't get two points for effort. We certainly need to be better in some areas and I would like to again see an improvement from last week." 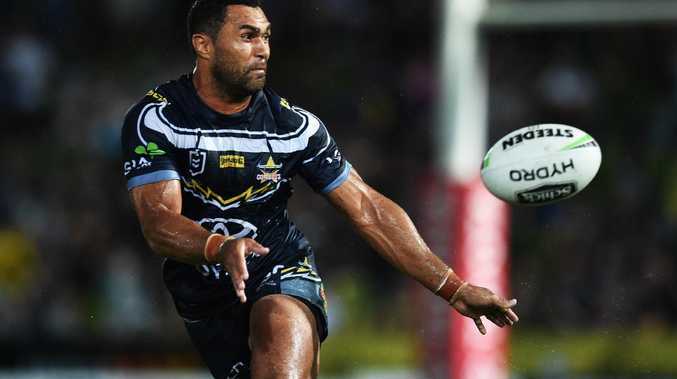 North Queensland Cowboys side to play New Zealand Warriors at Mt Smart Stadium at 5.30pm on Saturday, April 20.